In Western Canada, wheat is the largest acreage cereal crop, however increasingly variable climate conditions and stresses such as drought can affect plant development, yield and profitability for growers. Researchers and plant breeders are looking for new tools and strategies to advance high yielding, more drought tolerant varieties of high quality wheat for growers. The two contrasting wheat cultivars selected for the project include ‘Stettler,’ which tends to perform well in the field in drought stress years, has a lower drought susceptibility index, greater harvest index and water-use efficiency, and ‘Superb’ a cultivar which tends to perform poorly under field conditions in drought stress years. Researchers wanted to understand why the contrasting cultivars are different and identify the compounds that distinguish drought resistant types from sensitive types. A suite of methods was used to compare the composition of cuticular leaf waxes of the flag leaf of the two contrasting cultivars. The comparison is done at the molecular level to try and identify physiological and biochemical markers to complement breeding programs and their efficiency of cultivar selection. The leaf cuticle is the first line of defense for the plant, whether to abiotic stresses such as drought or frost, or biotic stresses such as diseases, insects and other pests. Although there have been several water use efficiency studies completed on crops, many of the studies have focused on water losses from the leaf stomata, overlooking or possibly underestimating the importance of the cuticle in water loss prevention and drought resistance. 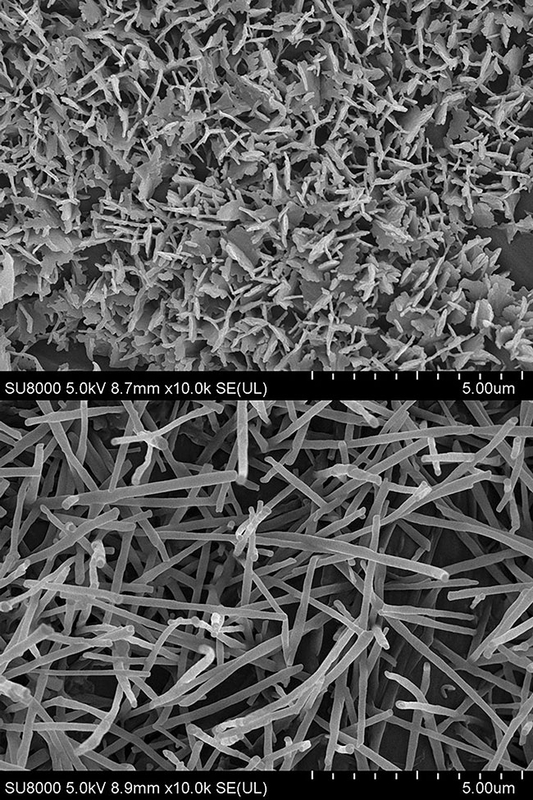 “In this project we used various lab methods, including the Canadian Light Source (CLS) synchrotron, electron microscopy and wetlab techniques to profile the biochemical and physiological components of the epicuticular waxes,” Tanino explains. “One of the advantages of the CLS synchrotron and the attenuated total reflectants device, which has several different beam lines, is we can measure molecular profiles in one beam line, and then take the sample over to another beam line to measure something else. Each different beam line gives different response measurements.” A synchrotron is a source of brilliant light that scientists can use to gather information about the structural and chemical properties of materials at the whole tissue, cellular and molecular level.